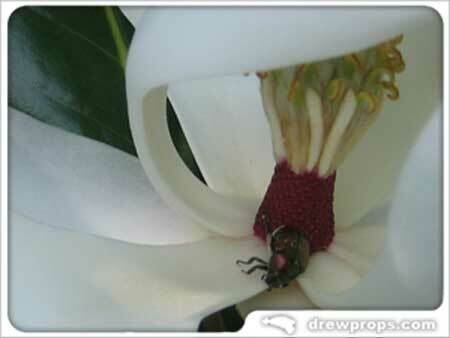 The magnolia is easily identified by its large, waxy, oblong leaves, its smooth elephantine bark and its enormous virginal white blossoms which usually feature a collection of beetles and bugs cavorting around in a collection of pink and yellow confetti of what I can only suppose are its primordial versions of pistils and stamens. 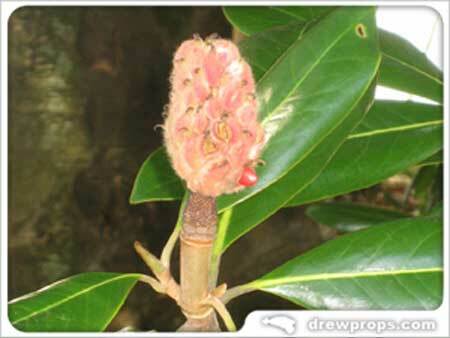 a seedpod that I’ve always considered to be a Magnolia Hand Grenade, or “Magrenadeâ”. 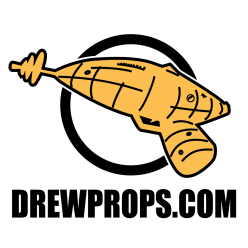 Using one of these things is a breeze! 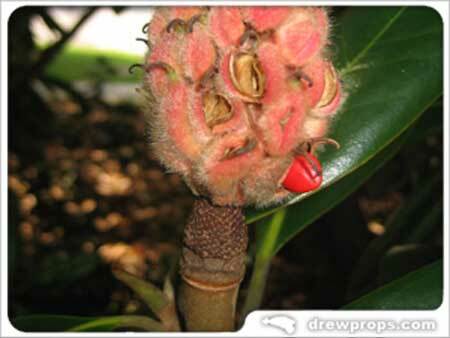 Simply grasp the Magrenadeâ„¢ by the body in one hand, with the stem poking up. With your free hand reach down and snap off the short portion of stem attached to the seedpod (like a pin), count to three (“one Ankylosaurus, two Ankylosaurus, three…”) then toss the Magrenadeâ toward your target (arm extended to your side, away from your body, using arcing throw over head in opposite direction from original position). Of course for the Magrenadeâ to work effectively the people you’re playing with should respect the devastatingly imaginary explosion these things are capable of delivering and they must make that slobbery slow motion explosion sound in their mouth. 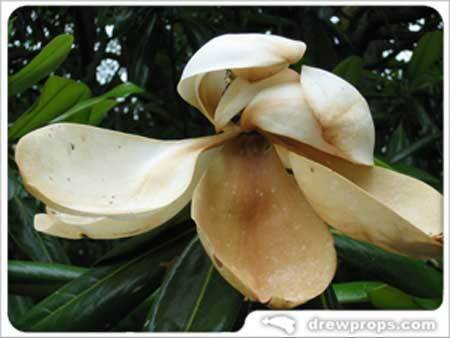 Another thing that intrigues me are the seeds of the magnolia. They poke out of little swellings on the husky, furzy, blowzy seed pod. 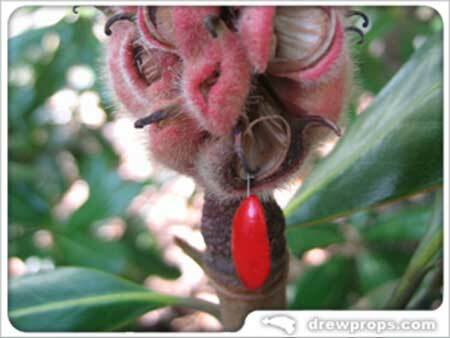 Berrylike, they have a soft thin skin, a pasty internal layer and a hard kernel. From one end of the seed projects a stringlike element that, if pulled, produces more string, rather like pulling floss from a dispenser. 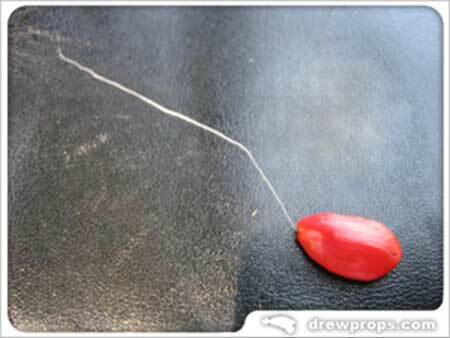 There’s probably less than another half inch of this string up inside the seeds but its very existence is curious and I’m certain that there’s an interesting reason for it being there, I just don’t know what it is at this point in time. 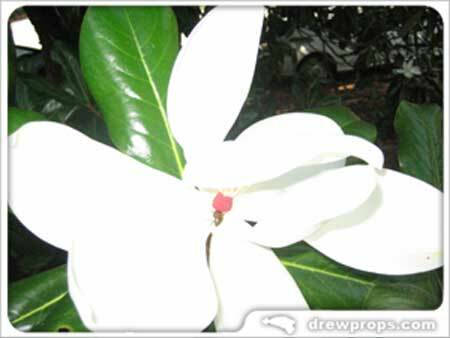 So there you have it, the Magnolia! I think the string probably allows the seed to hang and be caught by the breeze to help catapult it further away from the parent …for germination opportunity…maybe!